Space: the final frontier. Associate Professor Rune Hylsberg Jacobsen standing next to the antenna that will allow communications with the nanosatellite once it enters orbit. Photo: Melissa B. Kirkeby Yildirim. A team of Aarhus University students building the satellite, that will enter Earth orbit in 2018. Photo: Lars Kruse. Aarhus University is well on the way to launching its first satellite, Delphini-1. The satellite constitutes the foundation for what will eventually become an entire laboratory of small nanosatellites orbiting around the Earth. A revolution is taking place in commercial exploitation of space. Traditional satellite communication, based on large, geostationary satellites around 36,000 km above the equator, is about to be replaced by huge constellations of much smaller satellites in lower orbit. From 400 to 1,000 km above the Earth’s surface, these nanosatellites will float around in constant communication with each other and the Earth. In a major new project Aarhus University is helping to start this revolution. Therefore, in 2018, the university will be sending its first satellite into orbit around the Earth. The launch will be a milestone for the university and Danish space research, and the aim is to create a unique laboratory that will generate previously unthinkable possibilities. “The plan is to create an entire network of satellites outside the atmosphere. Satellites that can be used to study a wide range of different areas. It’s amazing that building a laboratory in space is becoming so cheap that now even a university can do it. That we can have our own equipment out there and study and make measurements without atmospheric disturbance. This was entirely unthinkable just a few years ago,” says Associate Professor Rune Hylsberg Jacobsen. The project will examine the potential for networks of small satellites, and it goes under the name of MegaMan, an abbreviation of Mega-Constellations Services Management. It has a total budget of DKK 11 million and the plan is to create a platform that can monitor hundreds of small satellites in one single mega-constellation. Such constellations can be used for space exploration, climate research and geological surveys, but their many sensors and communications mechanisms could also open up for a range of opportunities within many different sectors such as agriculture, shipping, aviation and land transport. Mega-constellations could also bring the internet and mobile coverage to the Earth’s remotest regions as well as new and exciting perspectives for the Internet of Things. “There is much unexplored territory in the possibilities of mega-constellations of nanosatellites. 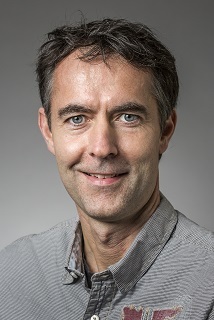 The much lower orbit of the satellites offers completely new opportunities compared with traditional satellites, which means that we can observe and communicate in completely new ways,” says Rune Hylsberg Jacobsen. Denmark has made a very good start in the race to lead commercial exploitation of mega-constellations. Both Aalborg University and DTU have similar satellite programmes, which means that Danish engineers, physicists, and geologists can develop unique competencies within the space industry. And there are plenty of challenges to take up. One of the biggest is that the many small satellites have to be monitored, and errors must be identified and rectified. By re-using concepts and standards from operating mobile networks, over the next two years the project partners will develop the world’s leading monitoring platform for operating mega-constellations. The shorter distance to the satellites makes the delay in conversations much smaller, for example, and at the same time coverage of the entire globe can be significantly improved - also in the open ocean and over the polar regions. Mega- constellations are also easier to build up as required over time, because capacity can be increased by launching ever more satellites in the same constellation. Implementation of mega-constellations is still at the beginning stages, so there is enormous potential to be part of the next major revolution in the satellite industry.